The San Luis Obispo City-County Library is the headquarters facility for the County Library system. The three story, 31,000 square foot structure houses complete public library functions, administrative offices, community meeting and performance spaces, and an exterior gathering/reading area on a contextually demanding downtown San Luis Obispo site. 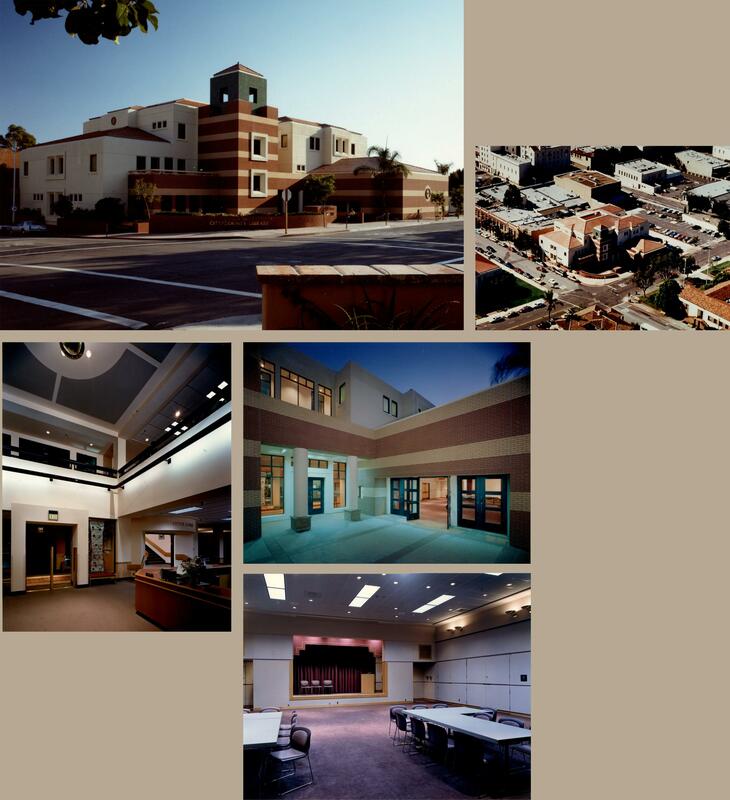 Building exteriors are designed to mediate surrounding civic and historic buildings, using similarly colored brick, plaster, and tile roofing for continuity and inviting pedestrian traffic through the corner plaza. The library received a Downtown BIA Certificate of Excellence and Obispo Beautiful Association award, was featured in the book Public Libraries, Travel Treasures of the West, and the instructional video series Universal Design in Architecture.